Y’all know I love a good female nature inspired artist who makes her art her way regardless of the social norms of what women were/are “allowed” to do. I’ve written lots about Beatrix Potter and Anna Botsford Comstock over the years. 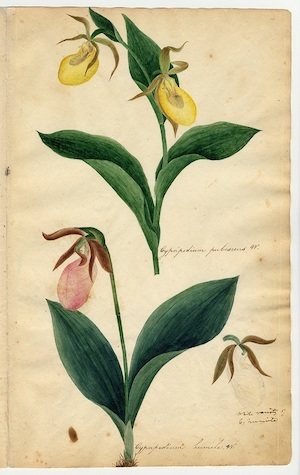 And on the blog we’ve looked at many more female identified nature artists from the past’s Maria Sybilla Merian to modern day Karen Raccah. Recently, I discovered another such woman, Orra White Hitchcock. 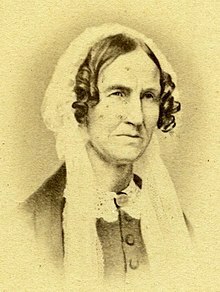 Orra White Hitchcock (1796-1863) was a pioneer for women in the field of scientific art. 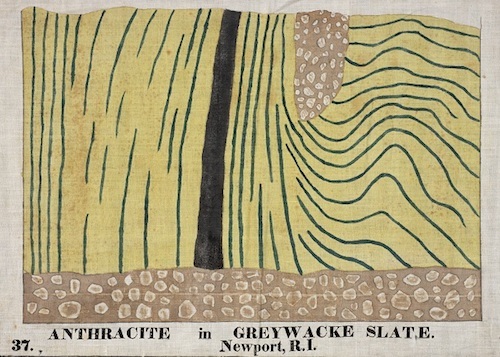 Her illustrations range from highly technical to almost abstract in the cases of her geology images. Looking at her work, you could easily think she is an alive and well hot modern illustrator! This lady’s not taking any mess from anyone! Look at those curls! 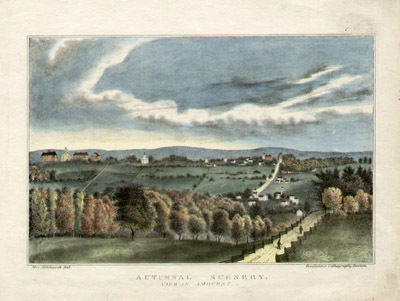 Similar to Comstock, Orra illustrated for her husband’s work and lectures at Amherst College during a time when wonder for nature was all the rage. Her husband, Edward Hitchcock, was a theologian and scientist who had a strong friendship and working collaboration with Orra. 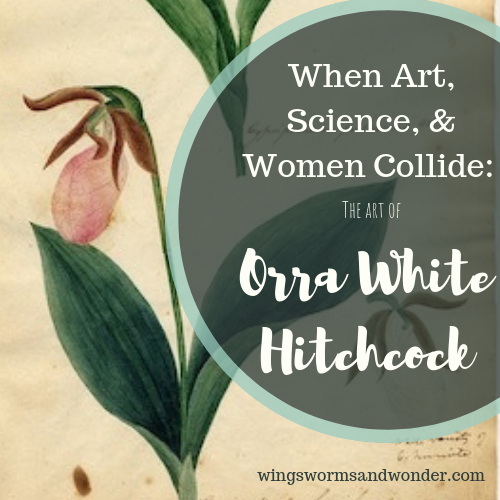 I can only speculate, but Orra’s work and working relationship with her husband must have been an inspiration for Comstock as they both were very scientific, artistic, and brilliant academics who were limited professionally only by their gender. Even as a child, Orra was considered to be a prodigy in the fields of arts and sciences. Luckily, she was from a family of means who educated her with private tutors, allowed her to attend school, and to teach fine art and natural science (to other girls) during the early 1800s Nature-Study popularity. She made geology as gorgeous in the classroom as it is out in the field! To say Orra was a prolific artist is an understatement. 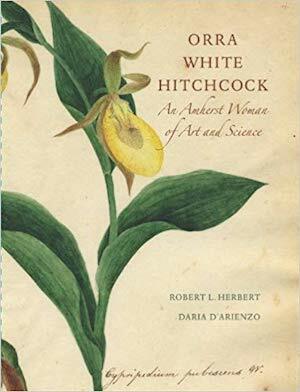 She watercolor illustrated many technical albums of plants and fungi of New England, made drawings for more than 200 plates and 1,000 wood-engraved or woodcut illustrations for her husband’s publications, and made hundreds of large and dramatic classroom charts of geologic cross-sections, prehistoric animals, fossils and dinosaur footprints for her husband’s lectures. Much of her work, (in printed publication form most originals are no more), can be found in the archives of Amherst and Smith Universities. If you live in NYC, nearby, or plan to visit in the next month, be sure to see Orra Hitchcock’s work in person at the American Folk Art Museum through October 14, 2018 – Charting the Divine Plan: The Art of Orra White Hitchcock. Do you think you could make art for your husband/wife/partner your whole life? Many women did in the old days. Would it be worth it just to be able to pursue your passion? 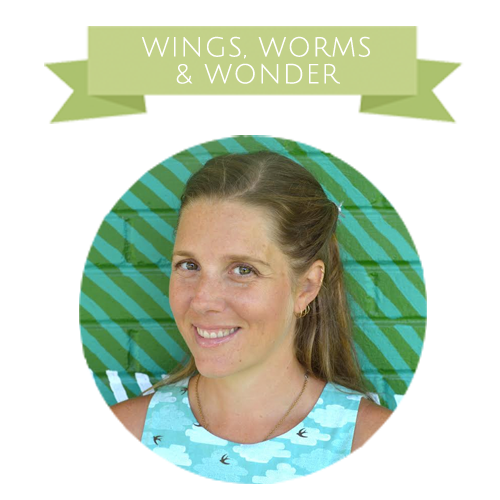 Share your own nature inspired art on Instgram #wingswormsandwonder ! 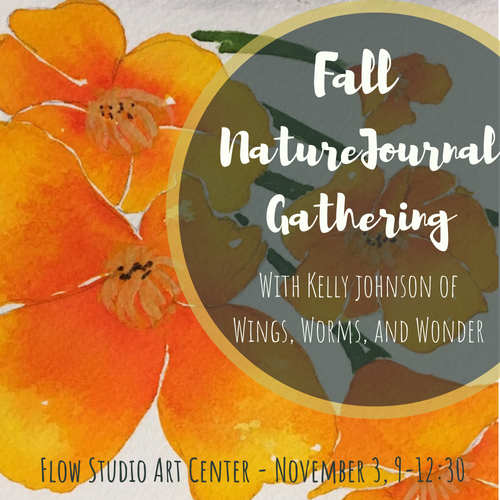 Want to make nature art with me in person? That would be awesome! Check out all the events I have coming up this fall and grab your spot! Live too far away? No worries! I have a new class up on Skillshare! 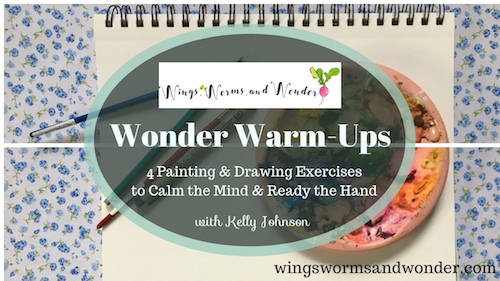 It’s called Wonder Warm-Ups! Check it out here and get 2 month free! Looking for some nature inspired fall fabrics that aren’t Halloween cheezy? Check out my new Bread Riot collection on Spoonflower! It’s centers around hand painted wheat sprigs. Want to learn about more radical female nature artists? Click here and check out this post!